The wearables device market can be tough. A recent study showed that interest around wearable devices focused on health and fitness, at least in terms of what kinds of information consumers want from their devices. Fitness devices that are launched to serve those needs won’t be coming from Adidas. 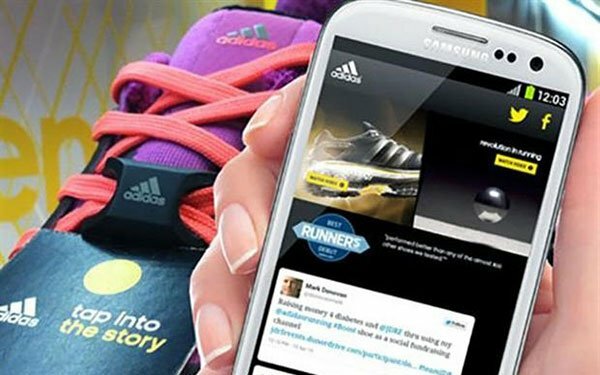 Adidas is somewhat backing out of wearables, as it shutters its Digital Sports business unit, the group that develops the company’s wearables tech. This essentially means that Adidas is going to spread its wearables activities into other areas of the company and stop making wearable devices themselves. Adidas does have a deal with Fitbit, so the idea of Adidas totally walking away from wearables is not happening. At least right now. 4 comments about "Adidas Backs Out Of Making Wearables". Douglas Ferguson from College of Charleston, December 19, 2017 at 5:21 p.m.
Too bad. They missed out on a really punny slogan: "These are the soles that time men's tries." Chuck Martin from Chuck Martin replied, December 19, 2017 at 5:46 p.m.
R MARK REASBECK from www.USAonly.US , December 19, 2017 at 9:54 p.m.
Maybe they realized that they are terrible at wearables, but I think it's a "smart" move to give them the boot. Did you know Adidas & Puma have ties to Nazi Germany , Yep. Wearables have a short shelf life, and the demographics are limited to millennials , which have a very short attention span. There will be a new butterfly along soon. Chuck Martin from Chuck Martin replied, December 20, 2017 at 9:28 a.m.
Trust you are referring to the next shiny object, Mark. No doubt; CES is around the corner.